We understand that each business has unique processes, goals and requirements. OrangeCRM provides the flexibility you need by offering a comprehensive set of modules that meets the demand for a customized Relationship Management system. A module is an additional component that seamlessly integrates with your OrangeCRM database to provide supplementary functions and tools according to your specific business needs. Our robust suite of modules includes something for all business types - whether you are a start-up company just opening its doors or a large corporation requiring multiple intricate utilities - making OrangeCRM powerful enough to serve as a one-stop solution for companies of any size. The Analytics module provides the business intelligence, analytics and on demand reporting you need to interpret and analyze your data. Our web based platform allows authorized personnel within your organization to instantly access and monitor key metrics and make informed decisions anytime, anywhere. 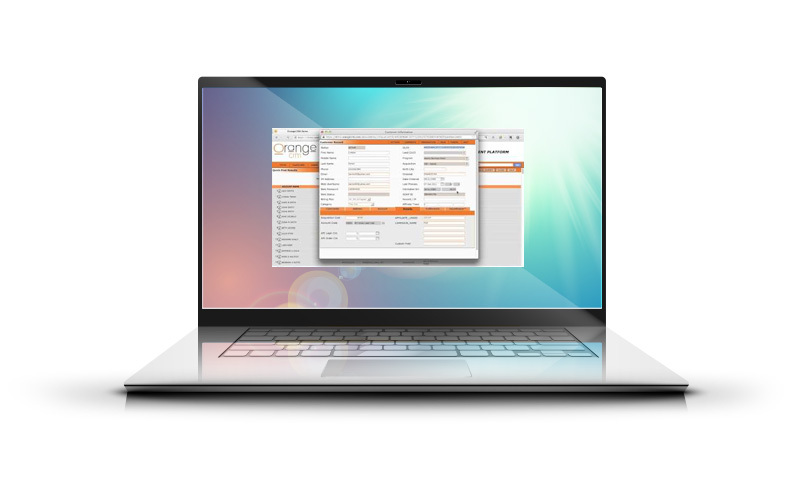 OrangeCRM’s Banking module provides a highly customizable, PCI compliance ready mechanism for merchant account management and automated payment processing. We support over 140 gateways and offer free integration for new gateways. Our typical integration time averages 72 hours. The MyAdmin module will save your company a substantial amount of time by providing you with a dedicated OrangeCRM administrator who will oversee the day-to-day operation of your database, ensure data accuracy across the system and perform any changes or alterations you may request.